This week, the New York Times published a story on the women and children left behind by ISIS. With the destruction of much of the Islamic State, thousands of women and children have been left in limbo, their countries of origin refusing to take them back. 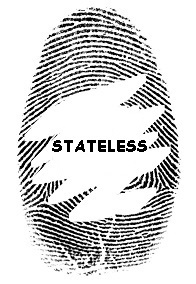 While armed conflict is always a cause of statelessness, the situation of many of these women is unique. Though they may not have formally renounced their nationality before joining ISIS, many joined the caliphate with the intention of becoming a member of an autonomous, Islamic society. Now, with the destruction of the Islamic State, they are being treated as though they renounced their original nationalities - as though they are stateless. While the Western media depicted the Islamic State in wholly negative terms, particularly in regards to its treatment of women, many women saw an opportunity to help create a utopian, Islamic society devoid of western influence and interests and the globalization that has swept away traditional life across the world. While many may dismiss this goal as dangerously naïve, in the eyes of many recruits, the Islamic State offered an alternate society. The limbo now experienced by many former female members of ISIS shows the enduring emotional and psychological connections that define membership in a state, beyond the fact of identity papers or registration. While technically foreign-born members of ISIS had a nationality in some state, in essence, they had renounced this nationality in order to take on the nationality of ISIS. Trust between these citizens and their former states has been broken, a trust that is fundamental to the relationship between citizen and state, and one that is not easily mended.